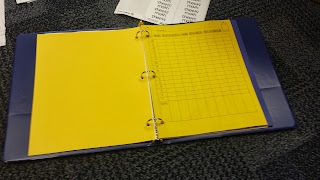 I Can Notebooks or Keeping Track of Data | Primary Planet! I feel like everytime I turn around I need to make sure that I can back it up with data! So, how am I taming the data monster? 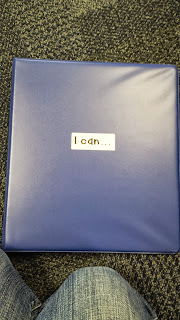 This is where the kiddos are going to keep track of their own learning! When you first open it up, the label on the front pocket says: Reading Sheets. 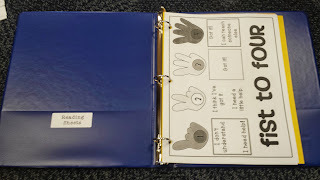 The kiddos will be doing a daily reading response at the end of Reading Workshop (I do a modified version of Daily 5!). This is where they will keep their papers! We are also going to be using the fist to four rubric to self assess. I got mine here. Thank you Third Grade Doodles! The first section of their notebooks are going to be for Reading. 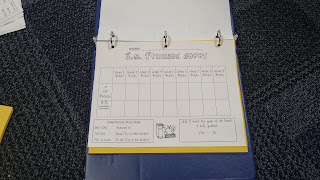 We have a place for the kiddos to keep track of their A.R. points and %. The kiddos will also store here anchor chart copies, accuracy strategies and their goal sheets for reading. Then, we cut contruction paper to make a divider. The next section is for the kiddos to keep track of their spelling test scores and their language scores from their silly sentences. The last section in the notebook is for Math. We cut a piece of blue construction paper for this section. This section will also be their "Calendar" notebooks. It has a 1-200 chart, a problem solver helper page and our calendars. 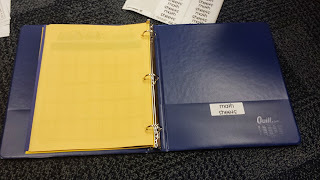 The back pocket it labeled Math Sheets. This is where the kiddos will keep their Math Warm-ups! We are still trying to figure out what data we would like to collect for math. Maybe Math Facts in a Flash, or math unit tests? If you have a great idea, please leave a comment! So, what do you think? How are you keeping track of data this year? 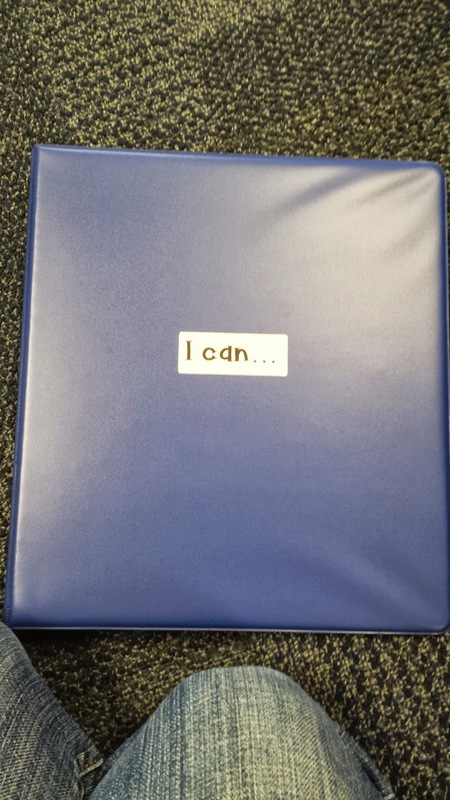 I do a daily math review and have students track their weekly quiz progress in their math review journals. I'm also going to find a way to display a data wall in my classroom (I have limited wall space). I'm excited to be a new follower of your blog. I'll be guest posting on The OC Blog, too and look forward to reading your posts! You too Elizabeth! Thanks so much for stopping by! This is a great idea, pal! So much of the time the focus is on what they can't do and need to learn and we don't spend any time on how far they've come! Thanks Justin! They get a big kick out of graphing their progress! A lot of the kiddos like to read through their notebooks during Reading Workshop!